The Sokoto State Governor, Aminu Tambuwal, on Monday, met with the President of Niger Republic, Mahamadou Issoufou, where the two leaders discussed issues of cooperation and mutual benefit to their citizens. At the meeting, which took place at the Presidential Palace in Niamey, the two leaders discussed important issues that bordered on education, trade and cultural integration between Sokoto State and Niger Republic. “Tambuwal’s visit to the Presidential Palace is meant to enhance the long standing cultural, religious and family ties existing between Sokoto State and Niger Republic, and also explore other important areas of cooperation like education and trade,” a statement said on Sunday. During the visit, Tambuwal met with Sokoto State indigenes in Niger Republic and also met with senior public officials and investors to explore areas of further cooperation. On the entourage of the governor were the Secretary to the State Government, Prof. Bashir Garba; Chief of Staff, Government House, Mukhtar Magori; and the Commissioner for Local Government and Community Development, Mannir Dan’Iya. The Sokoto State Governor, Aminu Tambuwal, on Monday, met with the President of Niger Republic, Mahamadou Issoufou, where the two leaders discussed issues of cooperation and mutual benefit to their citizens. At the meeting, which took place at the Presidential Palace in Niamey, the two leaders discussed important issues that bordered on education, trade and cultural integration between Sokoto State and Niger Republic. 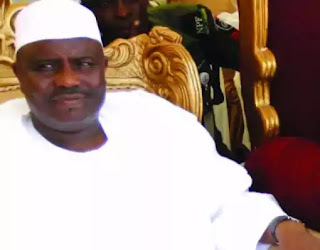 “Tambuwal’s visit to the Presidential Palace is meant to enhance the long standing cultural, religious and family ties existing between Sokoto State and Niger Republic, and also explore other important areas of cooperation like education and trade,” a statement said on Sunday. During the visit, Tambuwal met with Sokoto State indigenes in Niger Republic and also met with senior public officials and investors to explore areas of further cooperation. On the entourage of the governor were the Secretary to the State Government, Prof. Bashir Garba; Chief of Staff, Government House, Mukhtar Magori; and the Commissioner for Local Government and Community Development, Mannir Dan’Iya.